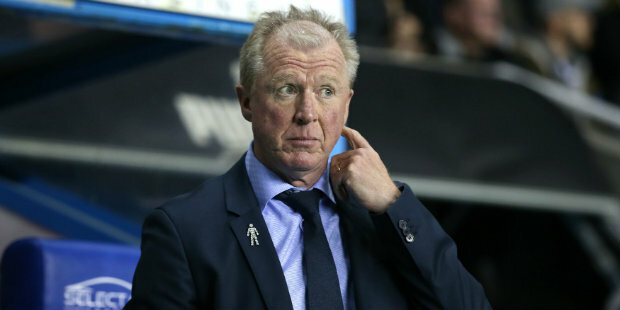 QPR’s poor defending was punished as they went down 2-1 at Wigan. Here’s how we rated each Rangers player in the defeat. Dealt well with a number of balls into his area. Was left badly exposed for both Wigan goals. Mostly solid and got forward frequently. But will be disappointed to have let his man get in behind him in the build up to the second goal. Unlucky not to equalise when he crashed a shot against the bar late on, but his overall performance was poor and he was at fault for both goals. Allowed Josh Windass to drift away from him for the opening goal and his failure to cut out a cross enabled Leon Clarke to make it 2-0. Also at fault for the opening goal and was generally unconvincing. Did go close at the other end with a first-half header and some of his passing was excellent. Did his job effectively, serving up a couple of fine crosses and almost preventing the opening goal when he sprinted across to try to save the day after Leistner and Lynch were caught napping by a routine ball over the top. Also somewhat unfortunate when he was unable to readjust his position and apply the finish to a Luke Freeman cross after Pawel Wszolek had failed to do so at the near post. Missed that chance and was taken off at the interval after offering very little in an attacking sense in the first half. His tracking back was missed, however, as Wigan counter-attacked to good effect after his withdrawal. Made an immediate impact on his return, winning the ball in midfield and setting up Nahki Wells. That seemed to sum up how much Rangers missed him while he was at the Asian Cup. But he gave the ball away cheaply a couple of times after that and faded further before being taken off in the second half. Worked hard in midfield but Wigan had the upper hand. Always looked to create something on a frustrating day for the R’s. He was denied by keeper Jamie Jones in the first half and served up deliveries which led to Lynch going close and Leistner hitting the bar. Showed glimpses of his trickery but was easily shut out by the home defence. The youngster is going through a dip in form. Worked hard up front and had a first-half shot saved. Missed a great chance to score, though, when his control let him down. Set up a late chance for Matt Smith. Scored with deflected shot and was lively in spells after being introduced. But Rangers looked more open without Wszolek, especially during a second-half period in which the home side were on top. Made his presence felt after coming on, knocking the ball down for Leistner to blast against the bar. But the striker missed a chance by heading over from Wells’ cross in the final minute.